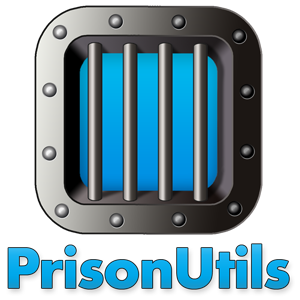 of useful Prison Utilities to the game. It also adds Backpacks which can be used to store items. Every Feature can be disabled in the Config! ## Since v1.4.5 it also allows custom Pickaxe Names to be used. If your Pickaxe Name is "Donator Pick"
## it will look like the following "mrCookieSlimes's Donator Pick [1923 Blocks broken]"
## if it has no Name it will look like this "mrCookieSlimes's Diamond Pickaxe [1923 Blocks broken]"
PrisonUtils allows a lightweight API for Developers to be used in order to create custom Addons for PrisonUtils. using the latest and hopefully most bug free version of my Plugin. in the config file at "options -> auto-update: true/false"
plugins/Plugin Metrics/config.yml and changing opt-out to true. Hey, is there a way of tweaking AutoSell sold blocks? Some of my mines have redstone blocks, and they won't sell with /autosell. Also certain donor ranks get forced to sell to their rank with /AutoSell even if the prices are lower. I feel like there needs to be more customization here. Thanks. There's a glitch with enderchests, for some reason even with the fortune whitelist enabled (not including enderchests) when I break 1 i'll get more than 1 (usually 7 or 8). Great plugin other than this issue, i would love to see it fixed, thanks! I need some help, because every time I put in the plugin the folder won't generate after several restarts, and it will not appear at the plugins menu. I tried to put other versions, but none of them worked. If anyone can help, or the plugin needs other plugins to work please let me know, it will help me a lot! When I set in the config pickaxe, sword, .. How to I obtain them? If you try Fortune 3, the máximum drop you can optain from a block is 1,8 (1). So, you need at least fortune 4 for multiply blocks. That's because the formula is that. (Level of fortune) * 0,6 -> (3) * 0,6 = 1,8. "auto-block" set it to false to prevent autoblock on melons. try to disable "auto-smelt" for the stoneBricks problem. I don't know that one. I can't seem to get the fortune to work, it always gives me one of the thing I mine. I have a Question: I have a 1.9 prison server, but when I do not have OP, I don't get a Title, I got only a chat message. But, people who have OP, they see the title. Does someone can help me? Hey! I have been having an issue with Fortune. I have it enabled, but fortune wont work! I am running Spigot 1.8.8. Should i reinstall it? Help! I've been having this problem with SilkTouch. When break the stone with a pickaxe has enchant "SilkTouch". It gives you cobblestone. When break the cobblestone with a pickaxe has no enchant "SilkTouch". It gives you stone.